When we think of bees we usually think of introduced honey bees, but did you know that Australia has over 1600 known species of indigenous bees? These can be divided into three main groups; solitary bees, semi-social bees and social bees, all of which are beautiful, fascinating and integral for our biodiversity. Over the past 12 months I've been blown away by just how diverse our Australian bees are both in appearance and behaviours. I've been excited to spot some bees I've never seen before and seeing some blue-banded bees in Circular Quay on the day of the Sydney Climate march was a real treat. 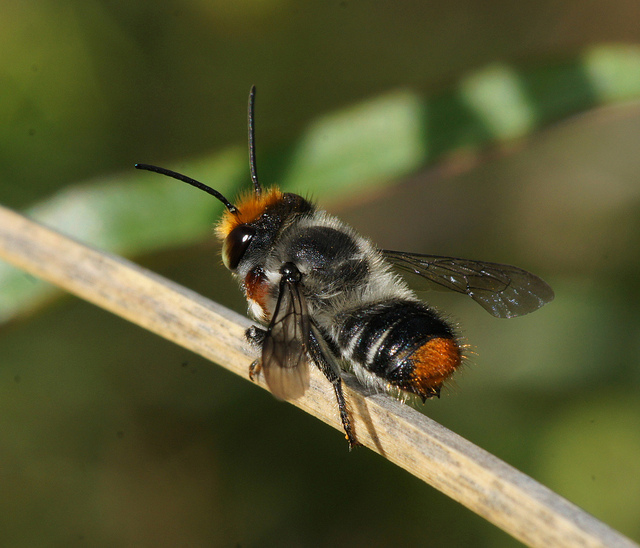 Solitary bees nest in small burrows in soil or wood, while semi-social bees co-operate in small groups to excavate and look after their nests. Social stingless bees are Australia's native honeybees and live in colonies with a queen, drones and hundreds of workers. 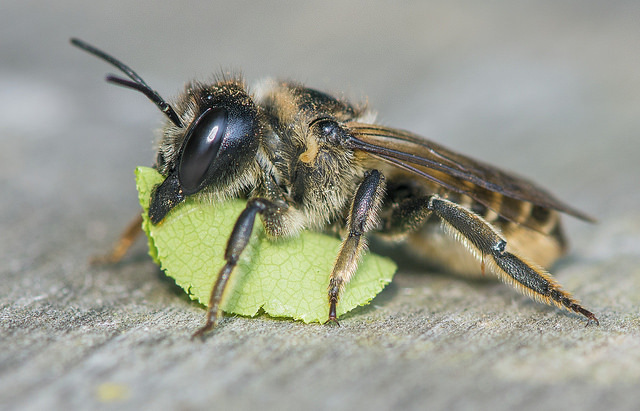 Solitary bees: Masked bees, Leaf cutter bees, Resin bees, Blue banded bees, Teddy bear bees, and Cuckoo bees. Semi-social bees: Reed and Carpenter bees. Stingless social native bees: about 10 species of tiny black bees (genera Tetragonula and Austroplebeia). 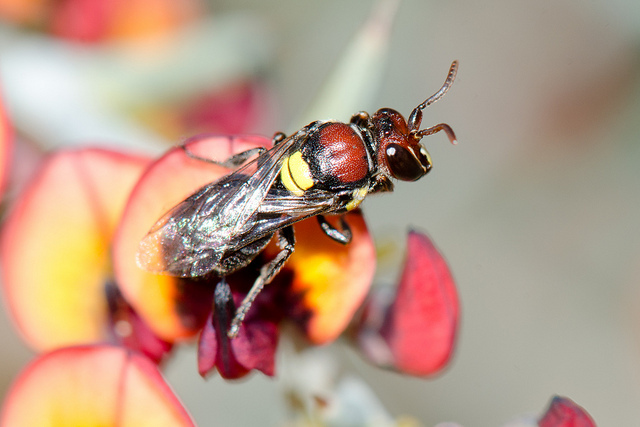 Native bees play an important role in Australia's biodiversity by being effective pollinators of many indigenous flowering plants. They have also been found to be effective pollinators of many agricultural crop species and are therefore integral to food security, particularly in light of the threats to honey bees. 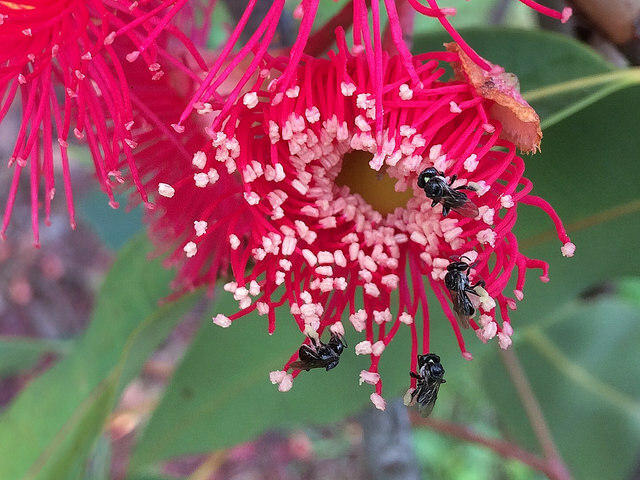 Some Australian native bees are capable of "buzz pollination" and this is important for certain plants, including some agricultural crops that have their pollen trapped inside tiny capsules within their flowers. The bees achieve this by curling their body and vibrating their flight muscles. 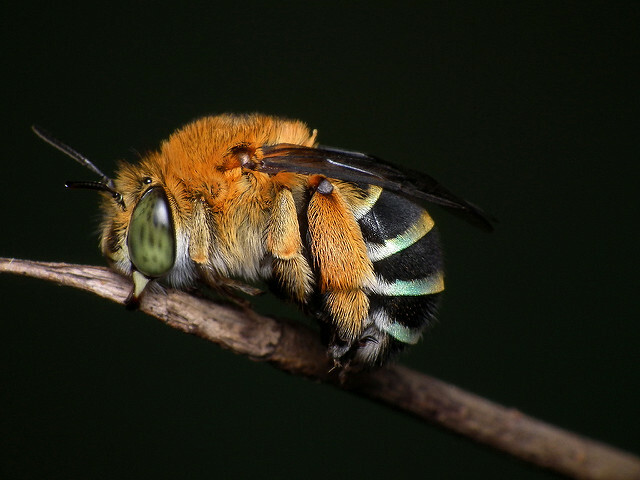 The Blue-banded bee is one of the bees capable of buzz pollination and has great potential for assisting with the pollination of crops such as tomatoes. 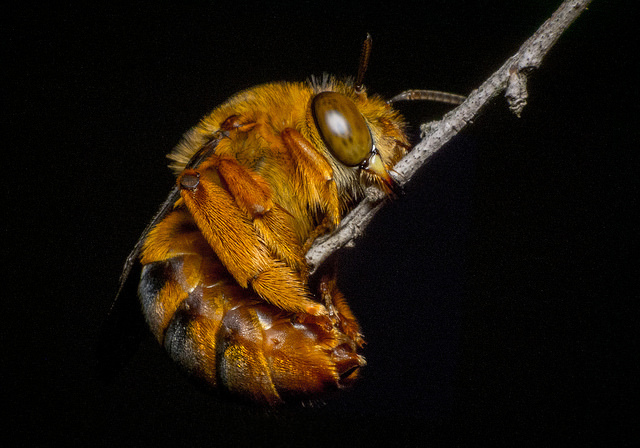 Similar to cuckoo birds, these bees sneakily lay their eggs in the nests of other bees nests. There is also an irredescent blue form and they are found in every state except Tasmania. 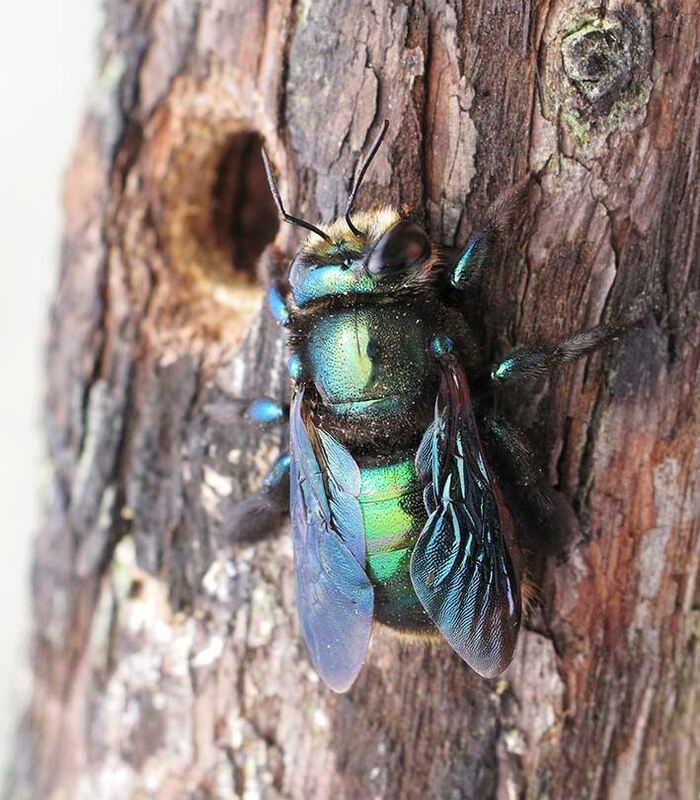 Most notable for the iridescent blue hairs on the back of their abdomen, and their skills at "buzz pollination", these bees nest in individual burrows in the ground or on eroded clay banks. They are also known to burrow into soft motar in bricks. These bees have potential value for pollinating greenhouse tomatoes. At my parents place, we spotted some laying their eggs in the old nests of Mud dauber wasps. You may be lucky enough to see some at night clinging to a stem of grass or a twig. You will know if you have these bees in your garden if you see neat semi-circular holes cut in the leaves of your soft leafed plants such as your roses, bauhinia, and wisteria. The females cut these and use them to create nests inside small holes or crevices. These bees build their nests by collecting gums and resins and constructing partitions between their brood cells. They make use of holes already made by insects in tree trunks and will nest in drilled hardwood blocks in bee hotels. With their dense orange-brown hairs that are reminiscent of fur, these bees are as cute as can be. They build nests in shallow burrow of clay soil, but as a result of their natural habitat being destroyed through land clearing they often nest under houses. While capable of stinging they are not an aggressive bee. 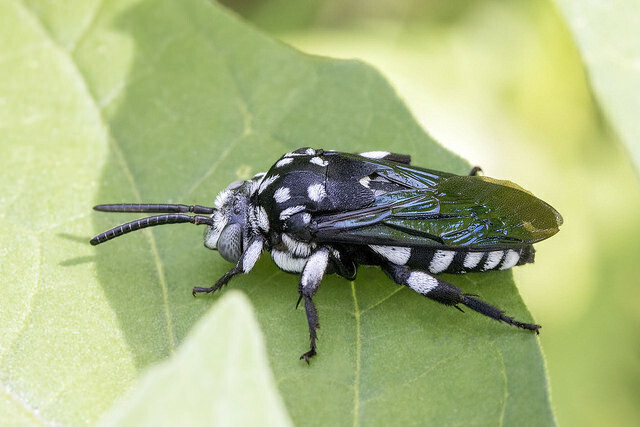 A slender black bee with bright markings often around the face. They build solitary nests pre-existing holes in wood, pithy stems (tristania, acacia, and grass tree spikes) or narrow rock cavities. 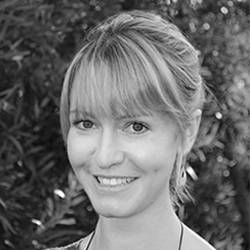 They create their brood cells using an incredible cellophane-like secretion. In your garden, bees will nest in some bamboo canes wired together or placed within a bee hotel. You will hear a Carpenter bee coming with its loud and deep drone, and it's hard to miss with the largest growing up to 24 mm in length. They make nest burrows in dry pithy wood and particularly like the long thin canes of the flower spikes of grass trees. Live in colonies. mainly found in hot northern areas of australia and long east coast. 3-4 mm long. Indigenous Australians used honey as food and as a medicinal resource and used nest resin as a glue for tool and weapon making. 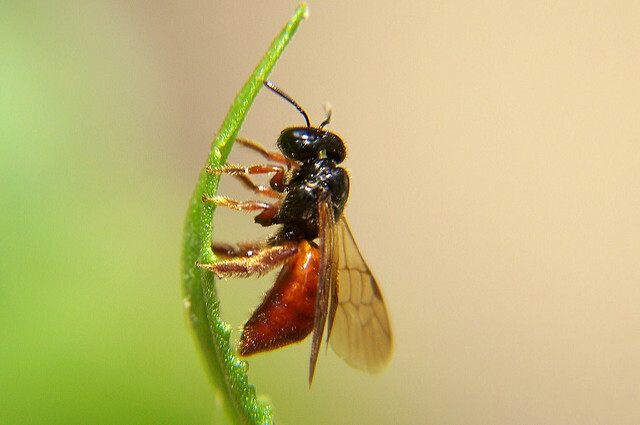 Have you spotted any native bees in your backyard? Do you have a favourite bee?